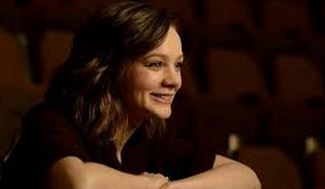 I just thought it was an amazing monologue, and Carey Mulligan almost always amazes. I’ve been a fan of Mulligan’s going back to her Oscar nominated performance in “An Education.” And here she is nearly a decade later, clearly a young-looking 30-something named Kyra Hollis, who has left her rather posh bourgeois background to live in the far reaches of North London, and in a council flat(a British housing project) no less, where she commutes to her low-paying job as a teacher of the uber underprivileged in East Ham in the East End. She admits that her LONNNNG commute to work on Public Transportation is the high-point of her day. I am so not a fan of Older Man-Younger Woman scenarios on the screen or on the stage. We’ve seen so many of them. It’s trite. To the max. And the un-even writing career of playwright David Hare leaves me with a feeling of trepidation every time I go to see one of his many plays. Will I love it? Or will I hate it, too? And let me tell you the rather interminable mixed match set of Tom and Kyra in the first act left me as cold as their cold-water flat. I nearly left. But I stayed, and then in the second act, suddenly Kyra shifts into high gear and unleashes on Tom just WHY she has chose to live the way she lives and where she lives and her unforgettable monologue about teaching occurs, and suddenly I felt “Skylight”, reaching as it does for the stars, finally MEANT something. Other than a will-they, won’t-they two-hander. Oh, and there’s a third character Edward, Jim’s son, played engagingly and comically, by Matthew Beard, doing a very good impersonation of Billy Nighy as a teen-ager. He even looks like him, the same height, the same gestures, everything. He’s the most sympathetic, and also funniest of the three. But the plays dismal cold council flat setting by the great Bob Crowley is spot-on, and there’s a fully functioning stove and sink(Yes, this is a classic kitchen sink working class British genre drama.) Mulligan prepares a spaghetti diner for Nighy for the entire length of the deadly first act. The tomato sauce and onion aroma wafting into the audience kept my olfactory senses alive, even as the leaden prose deadened my mind.The first act of “Skylight” smells good, then in Act II Carey Mulligan’s barefoot, East End, mother earth goddess takes off into the stratosphere into that sequence about teaching that has already burned itself into my memory and Mulligan into my heart. Now I understood why my mother and grandmother were teachers.